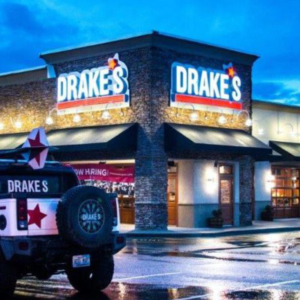 Legend has it, Bruce Drake, co-founder of Drake’s, couldn’t sleep. So he grabbed his keys and went out in search of a good burger and maybe even some live music in the kind of place he’d want to hang out in at any hour. To his surprise, that place didn’t exist. Most people would have given up and gone back to bed. But Bruce, being Bruce, hit speed dial and said, “Brian? 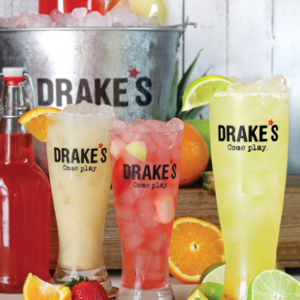 Wake up buddy, I have this idea…” And a concept called Drake’s was born. 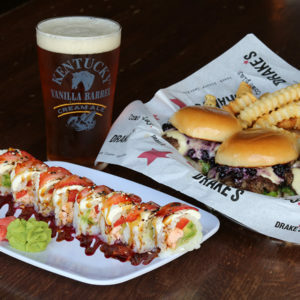 Family friendly by day, happening at happy hour, and all out party after hours. Where the vibe is both pub and club. The energy never ebbs and the kitchen is open late. Leisurely lunchers and lunch hour crunchers. The beer bunch and the cocktail crowd. Winers and diners. Looking for a dartboard or a dance floor or both. 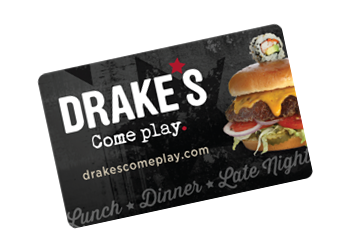 For a place to park or a place to play, the place is Drake’s.